What is Nursing Assistant/Nurse Aide? The Nursing Assistant Program prepares a student to assume the role and responsibility that is required for a State Registered Nursing Assistant role within the state of Kentucky. This course meets the KY Medicaid training requirements. The student will gain the knowledge and skills needed to provide assistance to a nurse in providing basic care to clients in various healthcare settings. Acceptance to Henderson Community College and a complete admission file, 6 months of work experience as a State Registered Nursing Assistant (SRNA) (documentation from employer required), have no conviction of an abuse related offense, hold a high school diploma or GED, pass COMPASS with minimum score of 80 in Reading, 64 in Writing, and 42 in Math. 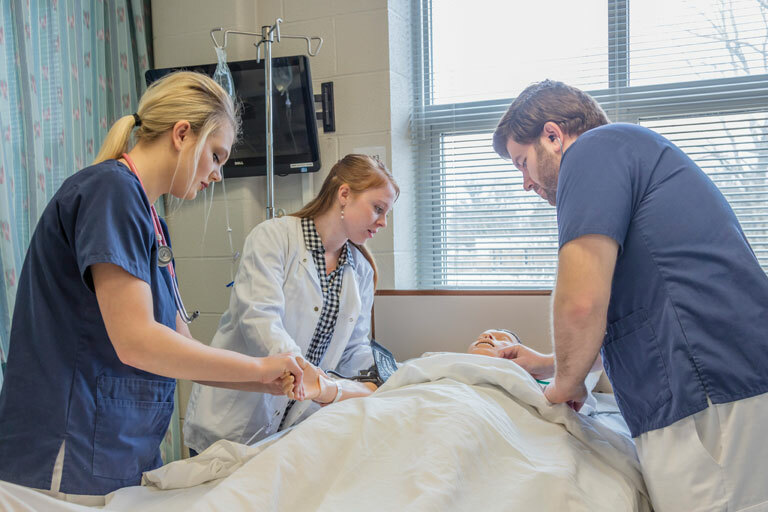 This program is a requirement for acceptance into either the Associate Degree or Practical Nursing Programs at HCC and a student who is on the SRNA Registry will be awarded two additional points toward their total selective admission points.